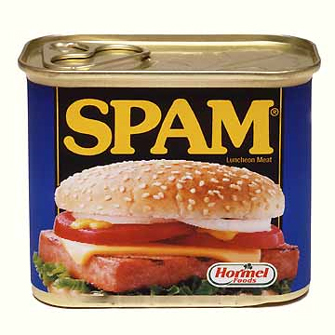 Blog Home » How SMS Marketing Spam Can Damage Your Brand? Branding experts believe that spam can do major damage to your brand in the long run. It not only affects your business’ reputation but also weakens your relations with the customers. Every strong brand is built on the relationship of trust but once that trust is broken the brand loses its value. SMS marketing is a great tool for small and medium sized businesses but these days it is being used mostly by spammers. This defeats the purpose of the whole exercise because the idea is to facilitate brand recall not make the customers forget about the brand. You could say that some businesses are excessively using SMS marketing and the results are out there for everyone to see. These businesses end up losing customers because of spamming. If you want to successfully market your product then consider a balanced approach. This means only sending out meaningful messages to the appropriate target market. The case of email marketing is an example for us. We should learn from it and not let SMS marketing go the same way. Email marketing when it was first introduced quickly gained popularity but then because of excessive spamming it lost its charm and today all commercial emails end up in the spam or junk folder in our inbox. So basically all the effort put into designing the marketing plans is wasted. This is the path that SMS marketing is heading down as well. But there is still time and we can do something about it. Marketing experts believe that as a brand manager you must protect the identity of their brand. If the brand has a good image then it will sell well. Spamming is a massive threat to the survival and growth of a brand. It is like a barrier that hinders progress. If you want to build a strong brand image then focus more on quality than quantity. By sending excessive amount of messages you are only increasing frustration amongst customers which will eventually drive them away. As a business manager you have to do the exact opposite and bring in customers so that you earn more. So avoid spamming and concentrate on long term commitment with customers. If you value your customers highly then you will understand their needs and plan accordingly. SMS marketing is a very effective tool which must not be misused or else it will lose its relevance. If you are interested in availing mobile marketing services then better contact a service provider today.